How do I come out to my parents? First assess whether your parents are supportive of who you are. If they are the open minded awesome kind, just go for it - tell them! If they are not supportive, then: you need to ask yourself, are you dependent on them right now? If the answer is yes, it might be better to wait so you don't find yourself on the street tomorrow. If the answer is no, then ask yourself, are you afraid of a violent outburst? if the answer is yes, the phone or email or by a written letter. If the answer is no, then face to face is also fine. Once you have come out to your parents, give them some time. Give them a year to throw a tantrum and say homophobic things and be weirded out. But once a year is up, they have to accept who you are. Period. The end. There are lots of stories about creative ways to come out to your parents. But the truth is, just do whatever you feel comfortable. If it's hard for you to tell them, write them a letter. 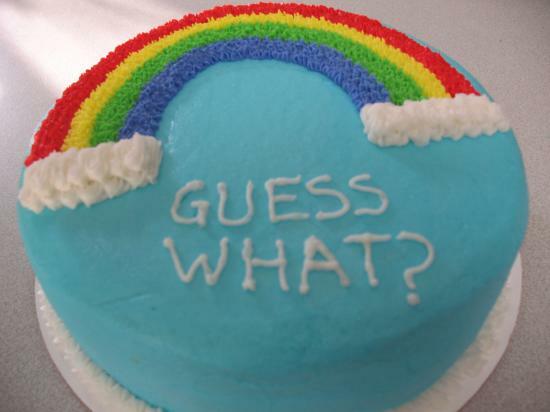 I've heard of people who baked a cake and frosted "Mom, Dad, I'm Gay" on it. It's completely up to you. Here's a quick run down and some tips! In general: You probably shouldn't come out around holidays or stressful family events. Be clear with the person you’re coming out to about who else you are out to so they don’t out you to other people accidentally. Specify what changes you want to make now, e.g. new name, new pronouns, etc. Specify, if it’s appropriate (e.g. when coming out to a parent or close friend), what changes you may want to make in the future, e.g. hormones, surgery, etc. Don’t feel obligated to share this information to anyone but people you are close with. Remind them that you’re still the same person you’ve always been. Be kind and patient with them if they are sad, confused, shocked, or scared. Don’t engage if they are hostile or refuse to even try to understand or accept you. Coming out in person: Plan what you’re going to say ahead of time. It will save you the difficulty of having to figure out how to phrase things when you’re nervous. Choose a time when the person is not busy and is in a good mood. Try to anticipate questions they might have and plan how you will respond. Writing a letter: This is a good method if you get very anxious coming out to people in person. Proofread and revise; try to have someone else read it if possible (you can post it (anonymously if necessary) on online support forums if you aren’t out to anyone). Give it to them and then give them space to read it, but still make sure you are still accessible. 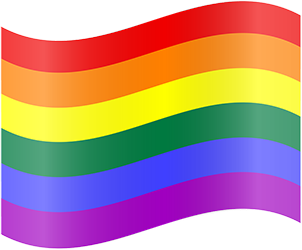 Coming out on social media: It’s often a good idea to tell close friends and relatives personally before coming out on social media A brief post explaining the changes that need to be made (e.g. name, pronouns, gendered terms like niece/nephew, etc.) should suffice. You can also just change your name on the account and wait for people to catch on Really, you can do anything you want. Coming out on social media is pretty flexible. If you have conservative people who follow/friend you on your account, be prepared for the possibility of rude comments. Feel free to block/unfriend them. Coming out with a powerpoint: Is a bit more of a formal way, but it works great for some people. Helps you organize your thoughts. You can add silly slide transitions if you want to be a bit less serious about it. If you’re nervous: Deep breaths. Positive thoughts. Consider how you will respond ahead of time if people react badly, but don’t dwell on it. Tell someone you’re already out to so they can provide moral support. Afterwards: Communicate frequently. Tell them when they do things that upset or hurt you. Ask them what you can do to make the change easier for them. As long as they’re trying, be patient. Adjusting to a new name, pronouns, and way of seeing someone takes time. Give gentle reminders when they slip up. Provide resources for them to be able to understand more. Be prepared for conflict. It can take a while for people to understand. Rely on your support system. Encourage the person/people you came out to to rely on their support system. Acknowledge that having a loved one come out can be difficult or scary, but discourage them from trying to make you deal with their fears and confusion. If possible, direct them to a local support group for family and friends of LGBTQ+ people. Coming out to your parents is a very hard process. First of all, you should feel comfortable with yourself. Everything you feel is okay and should be respected, especially by your parents. By coming out , you share your personal feelings with somone and give them the possibility to understand and support you. If you consider taking this strong step, then I would recommend it at a moment where you and your parents both feel good. If you do not want to tell it, you can also write it down (a letter for example). It would help if you know where they stand on lgbtq+ first, drop hints and ask them about gay celebrities or fictional characters. When you think it's time, tell them you need to talk about something and make them understand it's important, and then tell them. You could come out to both of your parents at once or come out to the more supporting parent first and then that parent can help you if the other person is unsupportive. Realize that if your parents are highly against LGBTQ+, this could lead to a lot of problems. Well just ask if they can sit down one night and talk to you. You tell them how you feel and then tell them that you like the same gender and you are their child. They love you for you, not for who you love. It will be hard, I came out to my mum. I told her "Mum, if you don't respect me I don't know what to tell you, but I like girls too." When I came out I just started talking about my crush to my mother and while she was guessing who it was I just said 'it's a girl' I came out to my mother about 3 weeks after coming out to my friends. There are several ways you can go about this. In my opinion the easiest way to do this is simply sit them down and talk to them. This will be especially important if they aren't very open minded about the community. You will need to gauge their reactions to the LGBT+ community in pop culture if you aren't sure about their stance on it. If you know they are supportive, you can come out in a number of fun and creative ways. Ease come out only when you feel absolutely safe and comfortable. All the best! It's a personal choice on how you can come out. A few suggestions are a letter/email, a video, or in person. You can look around the internet for come out ideas as well. If you look for the Coming Out Song by Ally Hills if it has to do with your sexuality that is a way that someone. Good Luck. First, make sure you have friends or other people in your corner who you can lean on depending on the outcome. I don't think there is a best way to come out to your parents. Make sure that you feel ready, and then just be honest with them. It is usually best to do so while not in the middle of an argument or something like that. Try to be as honest as you can with them. If they aren't immediately supportive or understand, don't think that is permanent. Oftentimes, people just need time to process and think about things before they can fully embrace them. Just remember there is no perfect way to come out, so just do what feels right for you. Good luck! Maybe do some research on how people have come out. If you have a friend that has been through this you can even have a conversation about what you should do. Anyone that you know supports you can be there for you. Comeing out to anybody is a hard thing to do. I would reccomened sitting them down and politely explaining to them your sexuality. Hopefully all will go weel! Good luck! Don't. I still haven't come out to any of my family as Bi-sexual. And that's because they are very judgemental. Don't. Just simply don't. I've personally never had to do this, but I would sit them down and ask them if I can ask them a very personal question If they say "you can tell me anything" Then I would continue. It depends how close you are to them, and what you are comfortable with. I came out to my mom in a letter I left in her purse, because I'm not good at talking. Whatever method you choose, make sure to tell them how strongly you feel about yourself, how much their support would mean to you, and information you might need to explain what you are coming out as. Coming out isn't always easy. Tell your parents you want to talk to them about something very important to you and just tell them. You might be surprised by how well they'll take it! The truth, however, is that not every parent is okay with a child coming out, unfortunately. If you don't feel you'll be safe afterwards, don't come out until you have a safe place. Think about yourself first amd your own wellbeing. You don't have to come out just because you see all these people coming out if that means things will get worse. I wish you the best of luck with that amd always remember there is someone here for you, to listen to you and help you the best way possible. Coming out to your parents is always a daunting task. Regardless of whether or not you know your parents will be completely understanding, or whether you know them to be fairly conservative in the LGBTQ+ concept; it'll always be hard. With that being said, there is one huge thing that should always be taken into consideration before coming out. Are. You. Safe? Sometimes, coming out doesn't go well. As much as I'd love to pretend that it does; it does not. Though the chances of it happening may not be likely, some kids have received some fairly harsh reactions upon coming out, ranging from abuse to being ejected from the home. Before coming out, be sure to ask yourself if you're safe. Do your parents have a problem with LGBTQ+ related things? Do they outwardly oppose it? How much or how little? If there is a strong chance that things could go wrong, is now the best time to do it? With the media now-a-days, there is such a huge pressure on coming out. However, if you do not feel comfortable with doing so, then do not force yourself to do so. If you do feel safe, then it gets a lot more straight forward. Maybe try googling various coming out methods, and picking ones hat would fit well with the type of people your parents are. Whether that is baking rainbow cupcakes, or simply bringing it up in conversation. Sit them down, and gently explain to them your situation. Let them know that you are still the same person, you just love a little differently. I think writing a letter is a good way, allowing yourself to say everything you feel, and knowing you have said everything you wanted. Keep it simple, don't apoogize, you don't have to be sorry for a beautiful person you are. Be patient, answer their questions. And give them time. Just sit them down and tell them the truth and how you feel about it. Also tell them why you made the decision and how has it changed you.This will help them understand and accept the decision that you have made. Coming out is a difficult process, but the main thing is that you are happy and comfortable. This is a question that is hard to answer, you know your parents best. Just try to understand that it can be uncomfortable and hard for them to understand. You can't control their reactions, but just know you have the right to be happy. For me, I came out when I actually had someone I was dating. I always planned to do it sooner than later, but for me, it was a kind of safety net at that time, that I did it while I was still dating. I knew I'd be welcomed in open arms, so I never feared it. My mom's always been very caring, and understanding. But having my date to talk about it to, really helped me doing it. Although that's my way. There are several ways to do it. Gathering your parents, and announcing you've got something on your heart, is a great way of doing it. If, however, you feel one of the parents might not take it too well in the start, you can always start by coming out to the other parent. Get their understanding, and break the news hand in hand. I wish you all the very best, when you're coming out to your parents. You deserve happiness! It can be hard to determine if your parents will accept you. I was lucky enough to have a mother who came out to me first. My dad, though, I had no idea. I knew he loved me, I know he still does. So one day I just told him 'Dad, I'm pansexual.' on the way home from dinner. That was that. He's asked me about it since, but the point is, it can be hard and it can be super scary. But it's okay, even if they dont like it, even if they get mad or dont accept you. Because you were strong and brave enough to tell them in the first place. Thats huge! Simply talk with them, explain to them everything you feel and the most important thing is to do this when you feel 100% ready. Related Questions: How do I come out to my parents? How do I come out as nonbinary? I've just come to terms with being transgender. How do I come out to my girlfriend of many years? How do I tell my boyfriend that I'm transgender? Is there any chats/groups/forums specifically for Transgender teens 18 and under? Does everyone secretly despise LGBTs although many openly claim to accept and love it, including LGBT members and allies? Are there really people who see LGBT as of equal worth as heterosexuals? I'm love with my best friend, but she's straight. What do I do? How to deal with falling in love for your best (and straight) friend? How do you know if your bisexual? How can I explain homosexuality to my parents?